The cost of modern day rallying requires shorter, more compact events, but organisers have ensured that this Easter’s rally will challenge the very best of the Irish talent. Based in Newcastle for the first time since 1992, the headquarters for the 2008 international event will be located at the glamorous Slieve Donard Resort and Spa, while the national rally will leave the start ramp in Castlewellan. Countless hours of hard work, combined with pure girt and determination, by many ‘behind the scenes’ individuals have made this year’s rally spectacular possible. But without the support from the wider local community, it simply wouldn’t be feasible to organise an event of this scale. Four local authorities within the Armagh Down Tourism Partnership have come together to support the rally, ensuring that the Circuit of Ireland 2008 will take in some of the most spectacular scenery Northern Ireland has to offer. Looking forward to hosting the Official Start of what promises to be a truly memorable event, Cllr Eddie Rea, Chairman of Down District Council, said, “We will be delighted to welcome the 2008 Circuit of Ireland International Rally to Newcastle and we can promise a suitably festive send-off as the cars cruise through the town in parade before heading off to face rallying challenges in the Mourne Mountains. Those mountains may look very gentle as they sweep down into our lovely resort but we understand that there will be some tough sporting action up there and we’re looking forward to that spectacle adding a dash of excitement to our already packed Easter weekend events and attractions programme! Echoing that welcome, Cllr Michael Cole, Mayor of Newry & Mourne, said, “We are proud and pleased to host the final stage of the Circuit of Ireland 2008 in Newry city centre, following what promises to be some thrilling rallying in the stunning setting of South Armagh and an area that is particularly close to my heart – The Mournes. The Circuit of Ireland will also tear through the usually tranquil Orchard County of Armagh, where Armagh City & District Council is preparing to roll out the red carpet in welcome! Mayor, Cllr Charles Rollston, says, “Already we’re seeing accommodation in Armagh City booking up in expectation of a great Rallying weekend – evidence that this is an event which has an important and measurable impact on local tourism. The weekend will also bring rallying action to the hilly countryside around Banbridge – so look out for crowd pleasing spectacle there! Cllr John Hanna, Chairman of Banbridge District Council, will be amongst the crowds cheering on the drivers. “Our congratulations go to all those whose hard work, commitment and enthusiasm have combined to bring a world class sporting event to our region,” Cllr John Hanna said. “We are delighted to be part of the team for 2008 and we know they will create a great weekend with happy crowds enjoying some amazing driving. Many local businesses have also come forward to show their support, including the likes of Downpatrick based company, McGrady Insurance. Managing Director, Fintan McGrady, is also a keen competitor, and is in fact entered in this Easter’s NI247.com sponsored Circuit of Ireland National Rally. 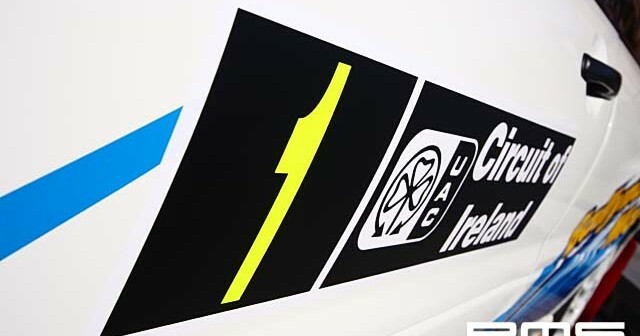 “On behalf of McGrady Insurance, I’m delighted to be involved this year with the Circuit of Ireland and Ulster Automobile Club,” McGrady said at the press launch. “It is all the more poignant now that the event is based in Newcastle as this is close to our business and I participated when the event was last based here in 1993. Ulster Automobile Club Ltd is also attempting to ensure that the efforts of these marshals are rewarded this year. Competitors are being invited to buy stickers for their cars at £30 each, and combined with £2 from all programme sales, the proceeds will go towards Circuit memorabilia which will be presented to marshals. A full colour programme, which includes stage maps, full entry lists as well as driver interviews, profiles and interesting articles, will be available for purchase in the shops during the rally. It is also available for purchase online from the event’s official website at <a href=”//www.circuitofireland.co.uk”>www.circuitofireland.co.uk</a>. 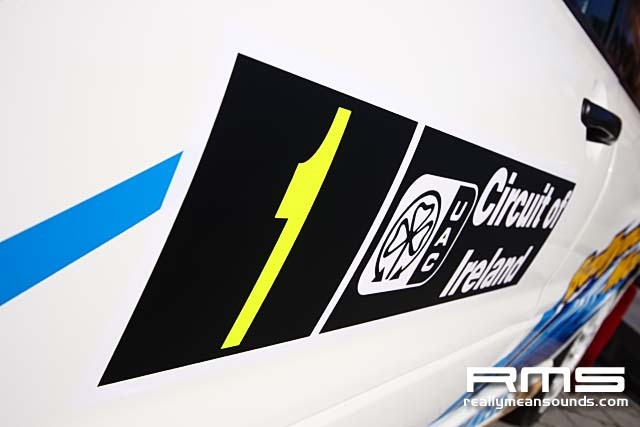 The International Rally is a counting round of the Global Group Irish Tarmac Championship, while the National event is a round of the Pacenotes MSA Northern Ireland Rally Championship, as well as the Global Group Irish Tarmac Historic Championship. The event also marks round two of the Fiesta SportingTrophy Ireland, and nine crews will join the action on Easter Sunday. Round one winner, 18-year-old Elfyn Evans, starts the event as the number one seed. As son of former British Rally Champion, Gwyndaf Evans, young Elfyn will be aiming to make it two victories on the trot at this Easter’s event. The Welshman will face stiff opposition from the likes of Alastair Fisher and Tadhg Buckley, not to mention another Welshman, Meilyr Evans. Despite having the same surname and hailing from the same home town as Elfyn, Meilyr is unrelated! Starting from Castlewellan on Easter Sunday, the Fiesta SportingTrophy IE competitors will tackle six stages, totalling 52 stage miles.